Fragrant Harbor, known to the world as Hong Kong, is also promoted as Asia's World City or the place where east meets west. It is all of these things. Sitting on the south coast of China, surrounded by the South China Sea and the Pearl River Delta, Hong Kong's low taxes and free trade have made it a wealthy and vibrant city. Its famous skyline, with more than twelve hundred skyscrapers, is literally at the top of the world, with more of them being higher than in any other city. A British colony in the mid-Nineteenth Century, Hong Kong was returned to China in 1997 but operates under a political system that is separate from China's. 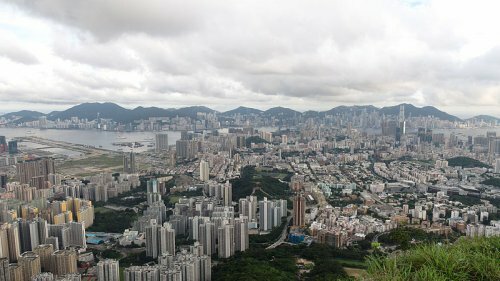 Hong Kong is an important international financial center with a capitalist economy. Most of its citizens are Chinese but, while leaning towards the culture of the East, they are heavily influenced by the West also. They take pride in being Hong Kongers rather than Chinese, with a culture that is an East-West fusion. There are two official languages in Hong Kong, Chinese and English. There is a law in Hong Kong protecting freedom of religion, with a huge variety of religions being practiced that include Buddhism, Christianity, Islam, Hinduism and Judaism. However, believe it or not, a majority of Hong Kongers are atheists. Hong Kong public holidays can be traditional such as the Chinese New Year or worldwide such as Christmas Day or New Year's Day. Some are quite colorful like the Dragon Boat Festival, celebrated in June. This ancient festival commemorates the death of a poet who is said to have drowned himself in the river to protest government corruption. Villagers got on their boats with rice wrapped in silk to offer the fish to save his body from being eaten by them. Today these rice packages are wrapped in leaves and known as zongzi, and the boats have become the ornately decorated dragon boats that take part in the races each year. The culture of Hong Kong has given rise to a new music genre called Canto pop, a hugely popular mixture of both East and West that blends both Cantonese rhythms with jazz, blues, and rock and roll. Hong Kong food has been described as a world's fair of food, and indeed it is. The most well-known and popular is dim sum, small pieces of steamed dumplings with different fillings. These are usually served on a rolling cart from which diners can choose any number and variety. The Gao is the normal dim sum that is wrapped in a thin skin made of rice flour or wheat starch and different ones are filled with either shrimp, mushrooms, cabbage, pork, tofu or chopped vegetables. Da Been Lo or Hot Pot is a type of Asian stew that is cooked and served from a metal pot in the middle of the table while the various ingredients are put into it. They can be sliced meat, vegetables, wontons, or seafood. It is accompanied by a dipping sauce. Seafood is naturally quite popular in a city on the water. There is a little fishing village called Lei Yue Min where a bit of the old city sits among the modern one. Here one can find al fresco dining where you can pick your fish from a market stall tank and take it to one of the dining places. They will prepare it for you for a reasonable price. Hong Kong wonton noodles are famous worldwide and these wontons are authentic, being handmade and using duck eggs. The noodles are wrapped around marinated pork or fish and served in a broth that has been cooked for up to six hours. Western restaurants in Hong Kong are easy to find because they are everywhere in the city. There are also worldwide franchises such as Outback Steak House and Hard Rock. Besides American and British cuisine, there are also German beer halls, Italian pizza gardens, Spanish paella and tapas, French brasseries and Egyptian cafes. There is no end to the items that can be purchased in Hong Kong, from traditional Chinese clothing in street bazaars to computer electronics, high modern fashion or valuable jewelry. There are specialty markets selling birds, fish, flowers or antiques, all of which can be found at Stanley Market or Peddler Street on Hong Kong Island. Hong Kong is one of the world's best tourist destinations and has a great many attractions to draw people of all ages. The Peak is probably the most popular. A tram takes visitors to the top of this thirteen hundred foot high vista with a beautiful panorama. Local Disneyland is where the characters come alive for children in its six lands of fantasy. People, who are interested in the culture of the place and its Buddhist background, should visit the beautiful Po Lin Monastery. It sits in green, lush hills with a gigantic bronze Buddha, the world's tallest, overlooking the area. Modeled on Hollywood's walk of fame, the Avenue of Stars is along the waterfront of Victoria Harbor and honors those in the film industry in Hong Kong. A statue of Bruce Lee, the famous martial arts actor, stands along it, as well as the landmark 145-foot-high Clock Tower. With the most magnificent skyline in the world, Hong Kong is more than a world class city. It is a place where east meets west. If you're looking for accommodation in Hong Kong, visit Service Apartment Hong Kong.